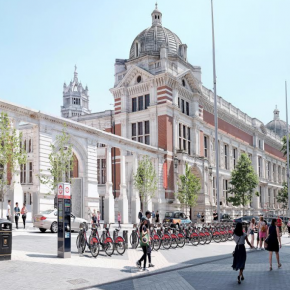 The Victoria and Albert Museum’s Exhibition Road Quarter now achieves architectural cohesion between museum and street, with the help of Alumasc Water Management Solutions (AWMS) and Alumasc Roofing Systems. In a project demonstrating expertise across the full building envelope, Alumasc Wade HCE drainage channels and access covers were installed to provide almost invisible yet functional water management, and a bespoke hybrid roofing system installed using Hydrotech and Derbigum waterproof roofing. Designed by Stirling Prize-winning Architect Amanda Levete and her practice AL_A, the landmark project aimed to ‘break down the barrier’ between the great cultural artery of Exhibition Road and home of more than 5000 years of cultural history. The entire project encompassed the construction of the Sainsbury Gallery, a flexible 1100 square metres of temporary exhibition space, the Blavatnik Hall, a new entrance into the V&A from Exhibition Road, the Aston Webb Screen, an updated colonnade formed from the original 1909 structure, and the Sackler Courtyard, a key area that strives for unity between the street, the museum, the historical and the modern. The Sackler Courtyard challenged Alumasc WMS to devise a water management solution to accommodate the shape of the building design, discreetly hugging the curved exterior wall of the café, and provide access covers that would seamlessly blend with the 11,000 unique, parallelogram shaped porcelain floor tiles. 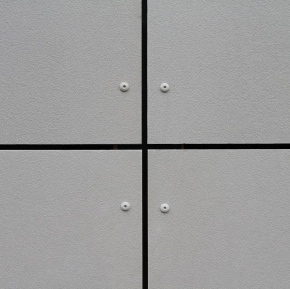 Providing an invisible yet practical solution, bespoke access covers mimicking this shape were designed upon AL_A’s specification. 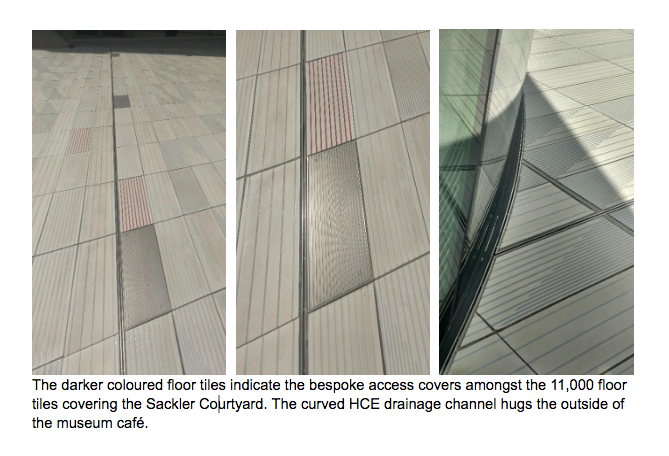 The curved exterior wall of the Sackler Courtyard Café posed a further challenge that was overcome by the custom design of a curved Wade HCE stainless steel drainage channel. Nestled flush against the wall, this provides a discreet direct water flow into a below surface linear drainage system, designed to accommodate large water volumes and withstand heavy foot traffic above. David Adams, Area Specification Manager – Building Drainage at Alumasc WMS, commented: “The V&A building in itself is considered one of the London cultural quarter’s most iconic buildings. This was why it was so important to find a water management solution for the new and updated areas of the site that wouldn’t interfere with or detract from its magnificence. A long way above floor level, work on the V&A building also meant updating the roofing system in place to improve waterproofing and insulation. 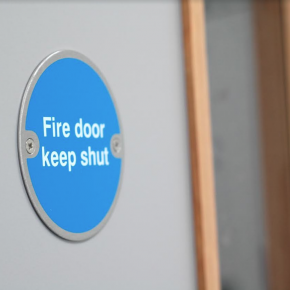 A long-lasting solution was needed that would also be respectful to the history of the building and take into account the environment and the detrimental effect of VOCs on historical artefacts. Hydrotech is a hot-melt rubber bitumen membrane, which is heated and combined with a polyester reinforcement and protection sheet to form a weatherproof layer. It has a 100% bond to prepared concrete surfaces and has become the first choice for zero falls structural waterproofing. Derbigum bituminous flat roof membranes offer enhanced performance properties including flexibility, durability and first-rate fire ratings, as well as ease of application and a 40-year BBA durability approval. 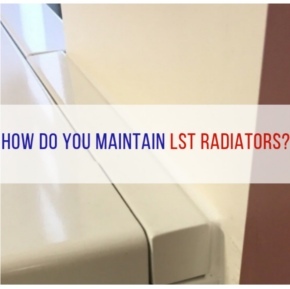 Its high melt point ensures membrane stability in the hottest weather whilst the polyester/glass fibre reinforcement provides high tensile strength. Brian added: “This system, which was the product of collaborative efforts between all parties to devise a tailored solution, offered guaranteed waterproofing for the lifetime of the building, and a crucially CFC and HCFC free insulation. “The entire project is a great example of AWMS and Alumasc Roofing Systems’ ‘complete building envelope’ approach to water management. 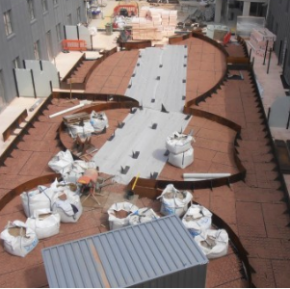 “Alumasc offer a single source, complete roofing and drainage solution from rain to drain, and by specifying Alumasc products across the spectrum, we were able to gain a full picture of the project and really understand its goals. The launch of the V&A Exhibition Road Quarter marks the beginning of a new era for the Museum. It has taken six years to realise and has transformed the V&A’s former boiler house yard. Tristram Hunt, Director of the V&A, reflected on it’s opening: “With its mix of ingenuity and imagination, the V&A has always been a meeting point for historicism and modernity.